Are you struggling to predict and manage the rising cost of health care at your organization, while still trying to offer your employees and their families quality, affordable health coverage? Private health exchanges have emerged as a strategy employers are using to help curb this cost trend while offering employees more choice and control over their health care. 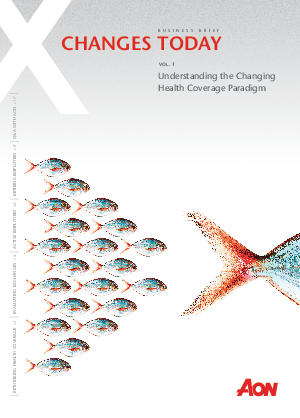 Download XChanges Today to learn about this changing marketplace and how private exchanges are realigning incentives to benefit everyone in the value chain: employers, insurance carriers, employees, and providers.